1. Gently break goose eggs into a bowl and whisk yolks and whites together. 2. Heat olive butter in a skillet and saute onion and mushrooms until lightly browned. Turn off heat and add cheese and pea shoots. 3. Gently heat an omelet pan or flat skillet. Add a little bit of olive oil or butter. 4. Spoon half the egg mixture into the omelet pan. Cook for 1-2 minutes, gently moving skillet so that egg sets into a thin circle. Use a spatula to keep ends from sticking to pan. 5. Add half the vegetable and cheese mixture to one half side of the omelet. Gently flip the other half over the mixture to form a half moon shape. 6. 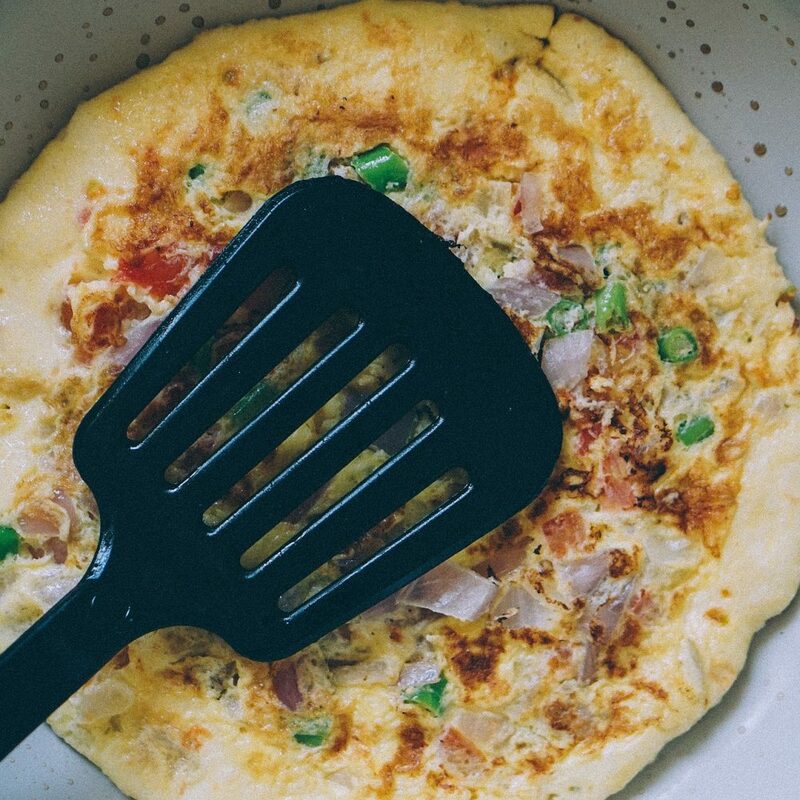 Cook for an additional 1-2 minutes, before using spatula to place omelet onto plate. Serve with additional cheese, pea shoots, and/or salsa if desired. 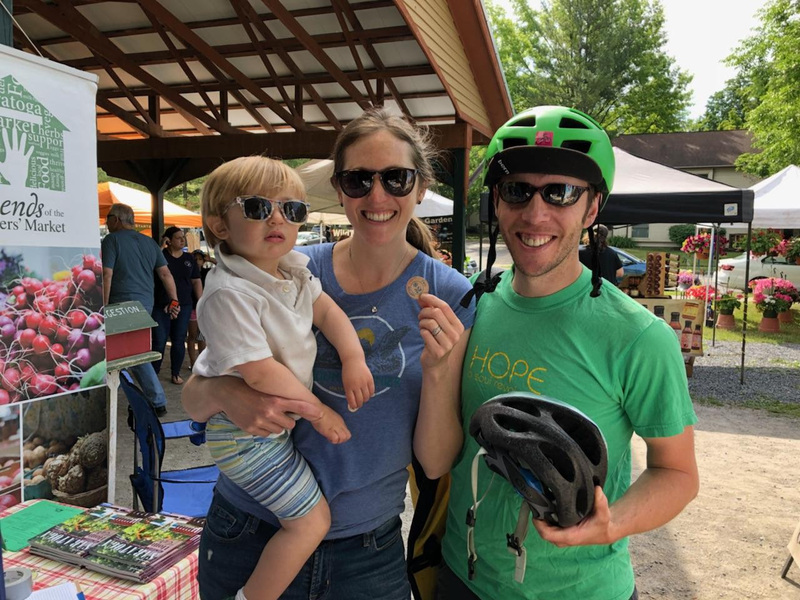 When the opening bell rings at 3 p.m. next Wednesday at High Rock Park, the Saratoga Farmers’ Market will begin its 41st season. The Wednesday market runs May 1-October 30, from 3-6 p.m. Like the Saturday market, it offers a wide array of amazing foods fresh from our region’s local farms, along with locally made wines and spirits, art, and meals to go. For many market regulars, the Wednesday market is the farmers’ market at its best. It offers an opportunity to browse at a leisurely pace, planning a few nights’ meals while listening to local music, and taking part in a series of all-ages activities. ● Vedanta du Mas Designs, art. As always, the Wednesday market will offer free music, children’s activities, its Power of Produce Club, and information booths. About 20 other vendors – ranging from small farmers to local artists and food entrepreneurs – will be returning to the market, as well. The Tisch Family Band will serenade market visitors on opening day. Throughout the season, the market will participate in the Bicycle Benefits program, and host tours. Market staff also are planning to organize monthly bus trips for Saratoga seniors. As a shopper and a farmer, I look forward every year to the start of the Wednesday market. It evokes the historic roots of Saratoga’s producer-only market and the region’s agricultural heritage. I enjoy talking to vendors as I fill my bags with great foods for a few days before I return to the market Saturday to replenish. Easter evokes images of eggs hunts and other community events. 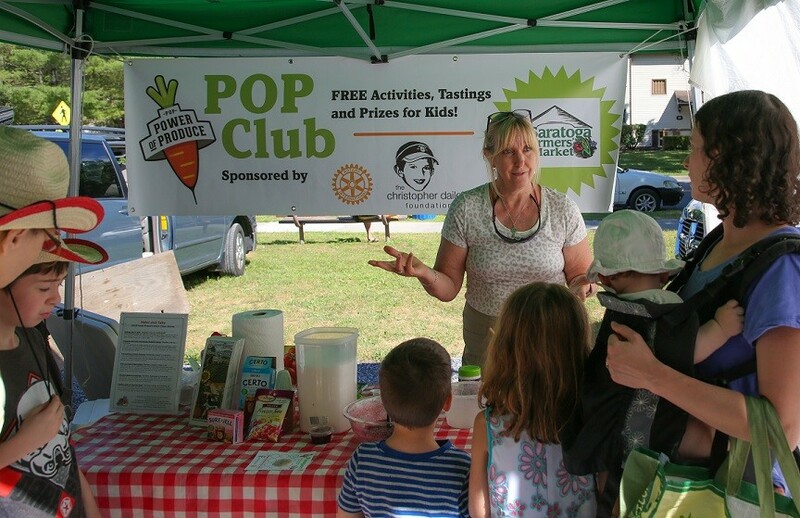 We invite you to make next Saturday at the Saratoga Farmers’ Market a part of these events. On Saturday, April 20, arrive early and fill your shopping bags and baskets with our fresh, locally grown, raised and produced foods. Near the market entrance, look for the eggs. Not the edible ones – those come next – but rather the reusable gift containers, available while supplies last. Inside each will be a coupon offering a discount from one of the market vendors. Now, for real eggs. Elihu, Kokinda, and Squashville farms are offering them in abundance. Check out their hues and try them for their fresh, farm-raised flavor. Keep an eye out, too, for rich duck and giant goose eggs. 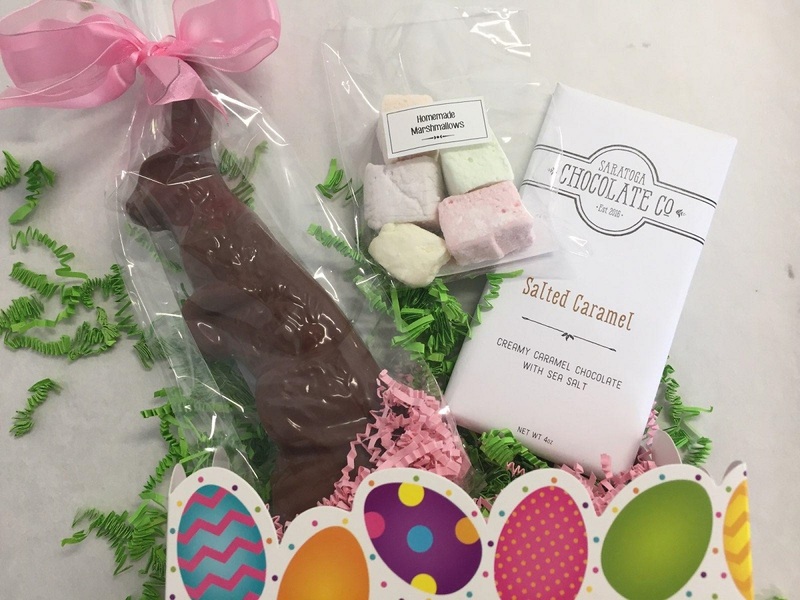 Saratoga Chocolate Co. Easter Basket, photo courtesy of Saratoga Chocolate Co. 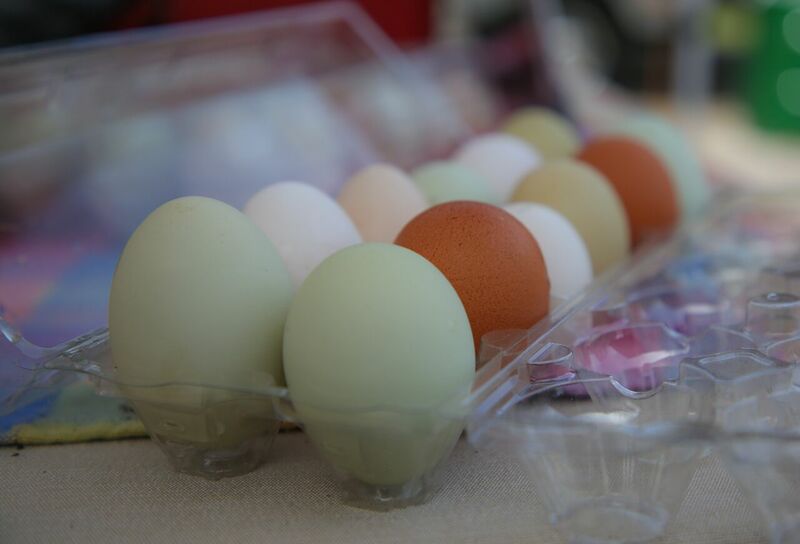 This weekend, the market also will be featuring chocolate eggs. Further in the market are such treats filled with maple cream and maple marshmallow at Slate Valley Farms. 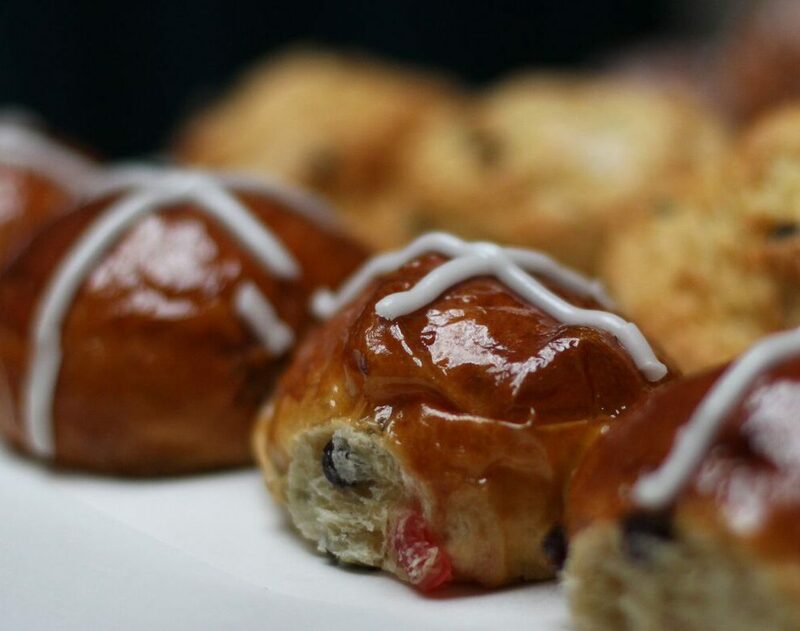 Other sweet treats include homemade marshmallows from The Chocolate Spoon, chocolates formed into nest and bunny shapes from the Saratoga Chocolate Co., hot cross buns from Mrs. London’s, and cheesecakes in a range of sizes and flavors from Grandma Apple’s Cheesecakes. That’s dessert. Now, let’s look for vegetables and main course meats. Many vendors are offering Easter specials on their farm-raised meats: At Lewis Waite Farm, fresh and smoked ham roasts and steaks are five percent off. Longlesson Farm is offering 10 pounds of ground beef for $60 (instead of $80), and Mariaville Mushroom Men is taking 20 percent off its pork. If poultry is your preference, try Ramble Creek Farm’s turkey or Squashville’s chicken. And there are the early spring vegetables to consider: Pea shoots from Saratoga Urban and Pleasant Valley farms, along with Pleasant Valley’s super-sweet spring parsnips. Storage vegetables remain abundant at Gomez Veggie Ville and Pleasant Valley, and mushrooms at Mariaville and Ramble Creek. Looking for libations? Try Saratoga Apple’s farm-brewed hard and sweet ciders, spirits from Yankee Distillery, cyser from Ballston Lake Apiaries, Battenkill Valley Creamery milk and Something’s Brewing’s home-roasted coffees. And, there’s more: apples, pickles, cheeses, and cured meats. Your favorite single pie crust recipe or a store-bought premade crust. 2. Roll the prepared crust into a 12″ circle (to fit a 9″ pie pan). Prick it all over with a fork. Bake the crust for 10 minutes, then remove it from the oven and set it aside to cool. 3. To make the filling: Cook the bacon in a frying pan until crisp. Let it cool on a paper towel-lined plate. Once cool, roughly chop it up. 4. Dice the onion into medium-sized pieces (about 1/2″). Melt the butter in a saucepan over medium heat and add the onion. Season to taste with salt and pepper. Cook until the onion has softened and is just starting to brown. Remove it from the heat and set it aside. 5. In a large bowl, whisk together the cream, milk, and eggs. Add the bacon, onions, cheese, salt, and pepper. Pour the mixture into the pie crust. Don’t overfill! If you find you have too much filling, just leave a little out, baking it alongside the pie in a custard cup, if desired. 6. 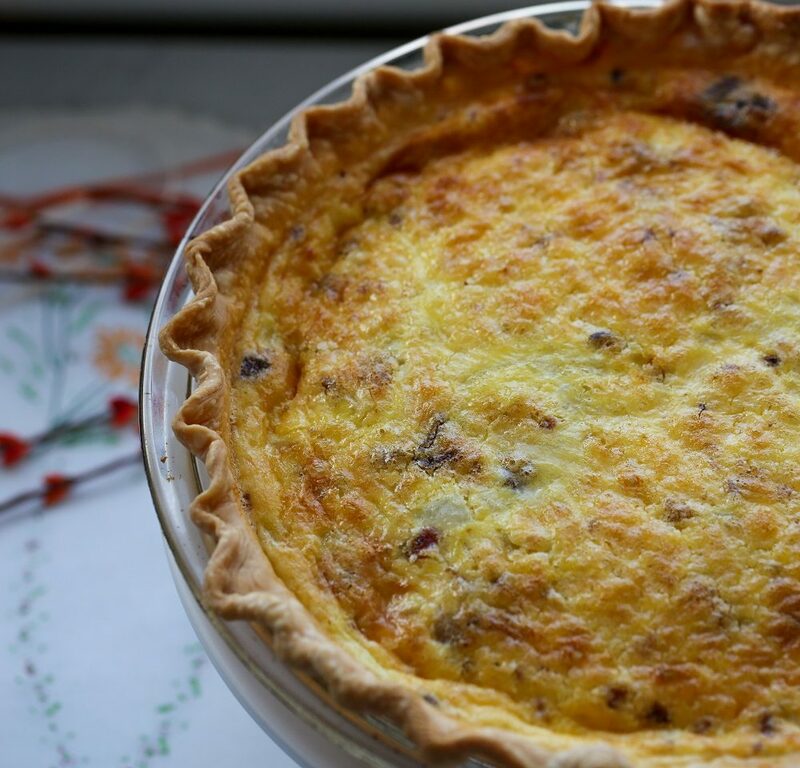 Bake the quiche for about 40 minutes. The edges should be golden brown and the center should feel just set. 7. Remove the quiche from the oven and let it cool on a rack. Serve warm, or at room temperature. Refrigerate any leftovers. If you’ve thought about making Hollandaise Sauce, do you shrug, because you’ve heard it’s too complicated? This “egg sauce” is ideal sauce for spring. Heat the olive oil and butter, or just butter, in another pan, until the butter foams but doesn’t burn, (If you like a more lemony sauce, add some lemon zest.) Keep warm. Bring to a simmer about half an inch of water in a 1-1/2 or 2-quart pan. Put the bowl of egg mixture over the simmering water (no need for an official double boiler). The bowl cannot touch the water. Whisk constantly as the egg heats up and the butter begins to melt. Don’t heat too fast, or the sauce might curdle. Then, add the hot butter or butter and oil to the bowl, in a slow stream while whisking briskly. Allow the sauce to heat slowly, whisking more and more, until it changes texture and appears custardy. If the sauce begins to curdle, remove from the bowl from the heat. Add a bit of lemon juice and a smidgen of butter or oil and whisk until the sauce becomes smooth. Then put the bowl back on the pan and continue, until all the butter or butter and oil are incorporated. Remove from the heat; whisk in 1 tbsp heavy cream to make the sauce more spreadable. 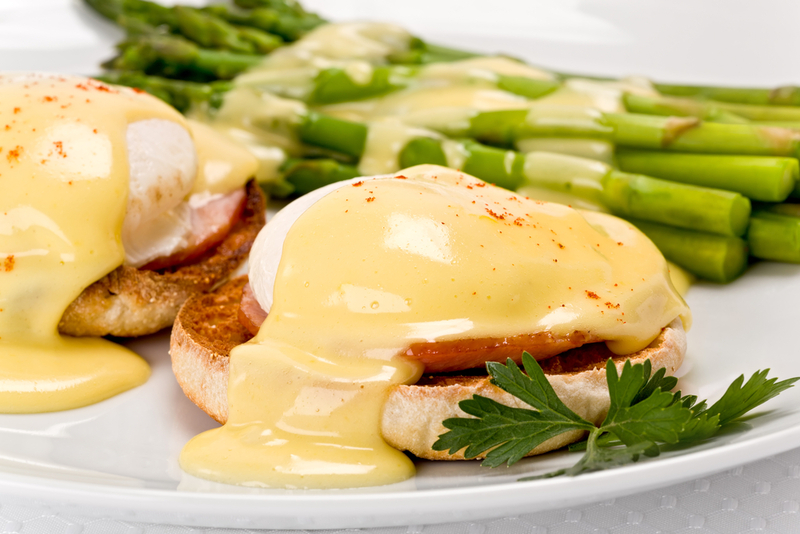 Keep warm until ready to serve on asparagus, broccoli, fish, or atop eggs Benedict. Additions and substitutions: For orange flavor, add orange juice and half the lemon juice, and substitute the zest of half an orange. Other additions can include, whipped cream * (Sauce Mousseline), capers (don’t overdo), finely minced parsley, or some paprika. Eggs with shells that range in hue from ivory white to deep maroon, from light blue to olive green. Eggs in a variety of sizes. Eggs from chickens, ducks, and geese. 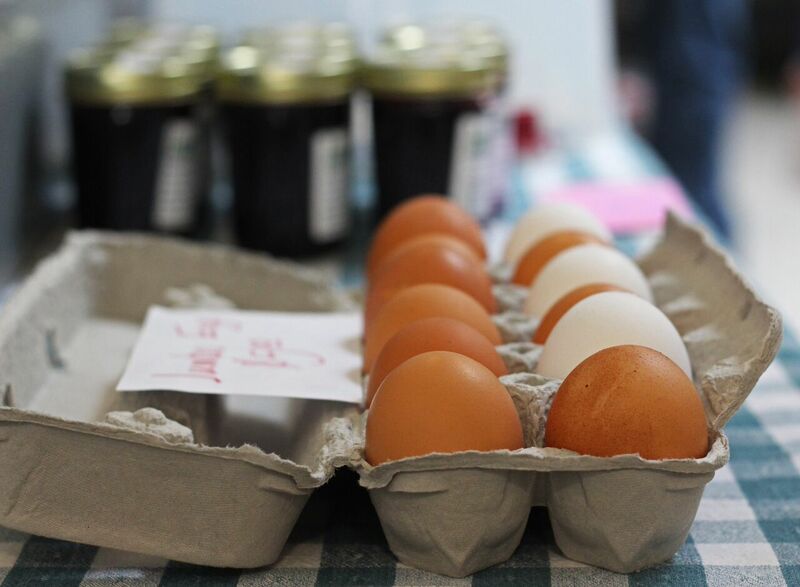 What these eggs all share in common is the fact that they’re nutritious, relatively affordable, and delicious. “Eggs are the least expensive source of protein,” says Mary Pratt of Elihu Farm. Pratt and her husband Bob have raised hens for decades. Their flock consists primarily of Red Stars, a breed of hen known for producing brown eggs. Their hens, like those of most other farmers, spend much of the day foraging on pasture land outdoors. This farming practice boosts not only the health of the chickens and the flavor of their eggs but also creates healthier soil. Squashville Farm eggs come in a variety of colors from a number of different Heritage Breed hens: Araucanas lay green and blue eggs, Rhode Island Reds and Buff Orpingtons brown eggs, and Blue Andalusians and Dorkings white eggs. 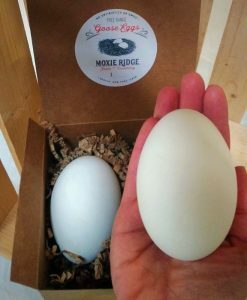 The color of the egg makes no difference to its flavor or its nutritional content but indicates genetic diversity within a flock. Duck eggs are usually larger than chicken eggs, with a harder shell. The eggs themselves tend to be higher in protein, omega fatty acids, and cholesterol. Duck eggs are often coveted for baking. Ask a farmer how to cook an egg and the answer is almost always as simple as possible: “Fried, over easy,” says Laurie Kokinda of Kokinda Farms. Moxie Ridge, Otrembiak, and Squashville farms on Wednesdays. Elihu, Kokinda, Longlesson, M&A, Moxie Ridge, and Otrembiak farms on Saturdays. 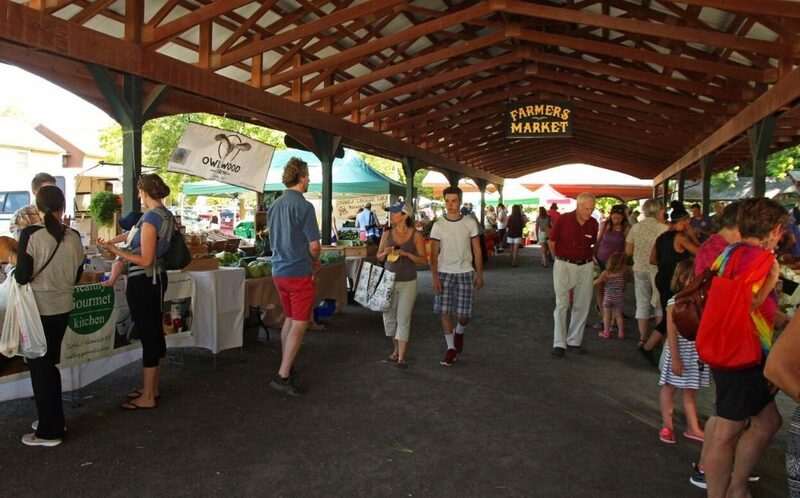 The Saratoga Farmers’ Market is 3-6 p.m. Wednesdays and 9 a.m.-1 p.m. Saturdays at High Rock Park. Find us on Facebook, Twitter, and Instagram, and check us out on the FreshFoodNY app. E-mail friends@saratogafarmers.org for volunteer opportunities.